4-CD/1 DVD box (LP-size) with 48-page hardcover book, 106 tracks. Playing time approx. 290 mns. Tzena, Tzena, Tzena. Juke boxes and radio stations kept both songs in constant rotation, and record sales snowballed into the millions. 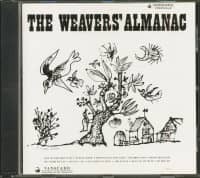 During the next eighteen months the Weavers dominated the charts with such folk anthems as So Long (It's Been Good To Know Yuh), The Roving Kind, On Top Of Old Smokey and Kisses Sweeter Than Wine. Suddenly, the creamy 1940s harmonies of the Pied Pipers, Six Hits and a Miss, the Merry Macs and the Modernaires seemed dated. 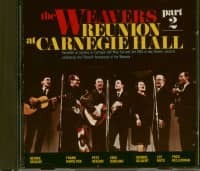 Pop music would be different in the 1950s, and the Weavers were among the first artists to signal this new era. No one was more surprised by this rush of success than the Weavers themselves: Ronnie Gilbert, Lee Hays, Fred Hellerman and Pete Seeger. Emerging from the embers of the postwar People's Songs movement, the group polished its sound and repertoire at New York hootenannies, union halls and political rallies. An extended booking at the Village Vanguard in early 1950 led to a friendship with arranger Gordon Jenkins, who convinced skeptical Decca Records executives to sign the quartet. But the Weavers' fortunes ultimately fell as quickly as they rose. Under the guise of patriotism, rightwing zealots gleefully exposed its leftist political affiliations. Through fear and intimidation, organizations like the American Legion pressured promoters, bookers and media executives to boycott the group. Airplay disappeared and jobs dwindled, yet Seeger, Hays, Gilbert and Hellerman persevered until they disbanded in 1953. However, the public's affection for the group never waned. A barely advertised Christmas Eve 1955 reunion at Carnegie Hall was an immediate sellout, and those who attended viewed their participation as a statement against rightwing hysteria. 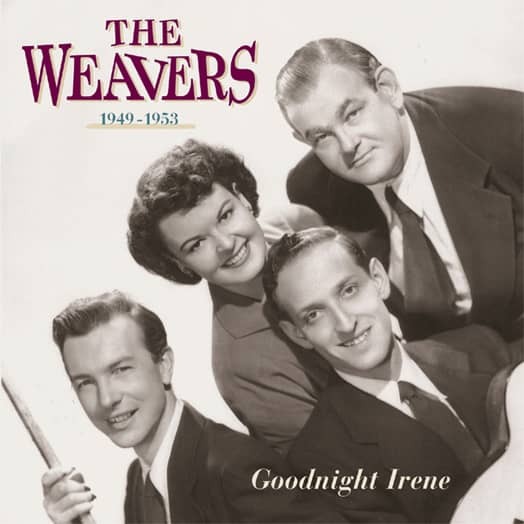 A half-century after the release of Goodnight Irene, the Weavers remain one of the most beloved acts in American popular music. The group's saga has spurred dissertations and documentaries from historians and filmmakers. But ironically, those early records that helped shape the contemporary folk music revival have remained largely uncataloged and virtually impossible to find. 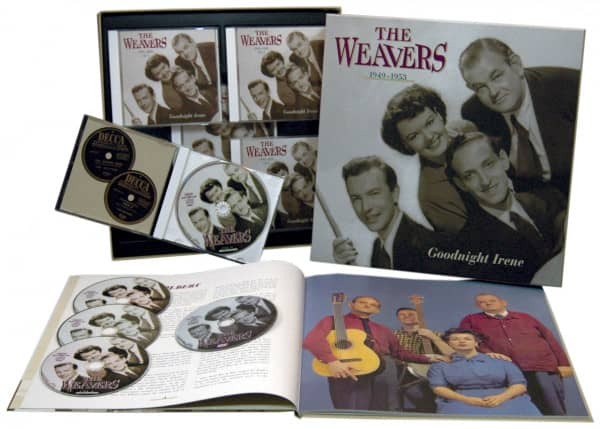 This 5-Disc Bear Family collection surveys the first five years of the Weavers' recording career, starting with the Charter and Hootenanny sessions from 1949, along with 16 previously unreleased audition acetates and WNYC airchecks. The complete Decca recordings and Snader soundtracks are included; the Deccas digitally transferred from the original session reels. The rare 10inch 'We Wish You A Merry Christmas' LP has been expanded with two previously unreleased carols. The last Disc contains the Weavers' uncredited appearances on two documentaries, a children's record and soundtrack recordings; Fred Hellerman's and Ronnie Gilbert's solo records; Gordon Jenkins' 1955 attempt to recreate the Weavers' sound with Hays, Hellerman and Sally Kaminsky; and a 1950 radio interview with Charles Buddy Rogers. Disc 5 is a DVD (NTSC format) containing the Weavers' Snader telescriptions, newly transferred from original 16mm prints. But the Weavers' fortunes ultimately fell as quickly as they rose. Under the guise of patriotism, rightwing zealots gleefully exposed its leftist political affiliations. Through fear and intimidation, organizations like the American Legion pressured promoters, bookers and media executives to boycott the group. Airplay disappeared and jobs dwindled, yet Seeger, Hays, Gilbert and Hellerman persevered until they disbanded in 1953. However, the public's affection for the group never waned. A barely advertised Christmas Eve 1955 reunion at Carnegie Hall was an immediate sellout, and those who attended viewed their participation as a statement against rightwing hysteria. 07 The Wreck Of The John B. Customer evaluation for "Goodnight Irene, 1949-1953 (4-CD & 1-DVD)"